Press the button 5 times to activate / deactivate. Each subsequent 3 presses will increase the voltage mode, enabling you to find your personal ‘sweet spot’ for vapour & flavour intensity. The colour of the button led will show the current mode selected. nOW I CAN VAPE ALL DAY WHEN USING MY PLAYSTATION AND LAPTOP. Bought this product for my wife as she works on her laptop a lot. 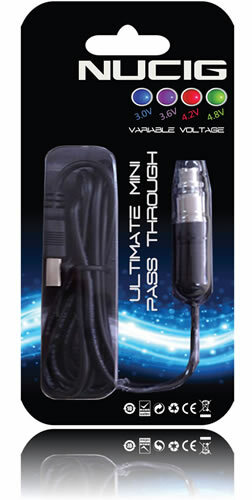 So easy to use just attach your clearomizer plug into your pc or laptop and you have continuous vaping battery free. It seems i spend all my life in my white van. With this plugged into the car - I can vape all the road hours away blissfully. The power control works really well.